Launched at the 2017 Milan Fashion Week. 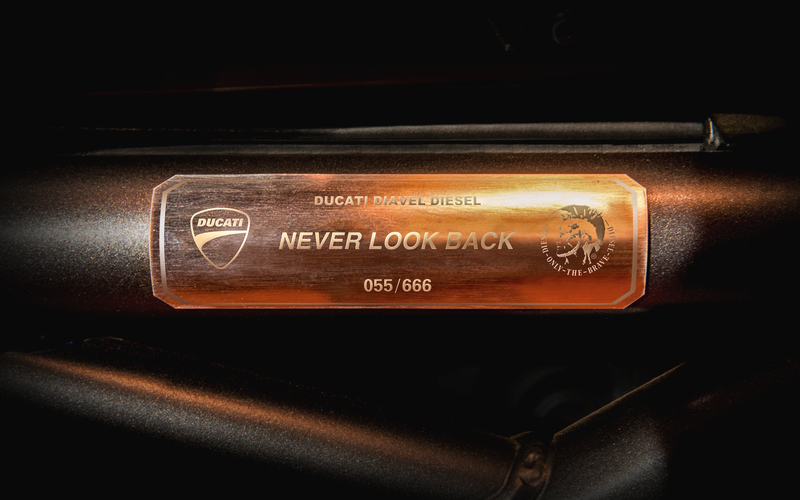 The Ducati Diavel Diesel – of which only 666 numbered units will be produced – is the fruit of collaboration between the Italian Fashion Brand Diesel, and the Ducati Design Center. 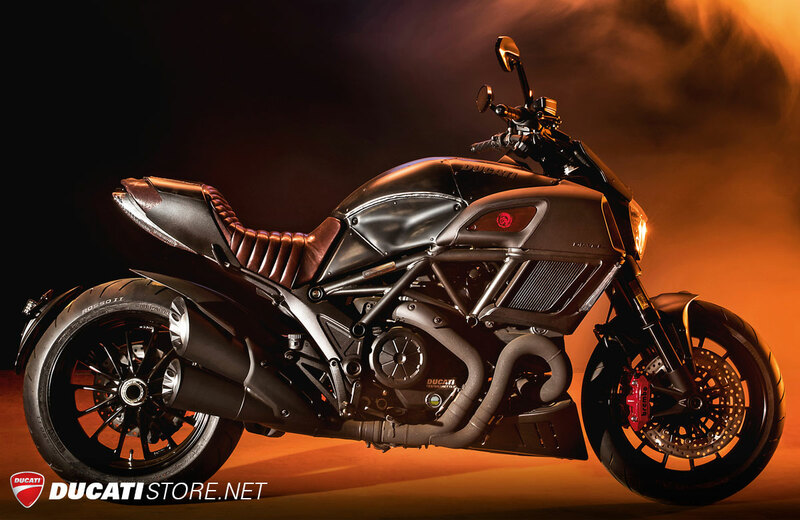 To create the Ducati Diavel Diesel, the two style centres were inspired by a hyperkinetic dynamism of a post-apocalyptic, retro-futuristic world. The result of this new collaboration was unveiled during the Milan Men’s Fashion Week at an event whose emotion-charged setting and music (performed by The Bloody Beetroots) provided the ideal backdrop for the new motorcycle. The new Ducati Diavel Diesel will also be at the Motor Bike Expo from 20 to 22 January 2017. It will go on sale to the public, worldwide, starting from April 2017. 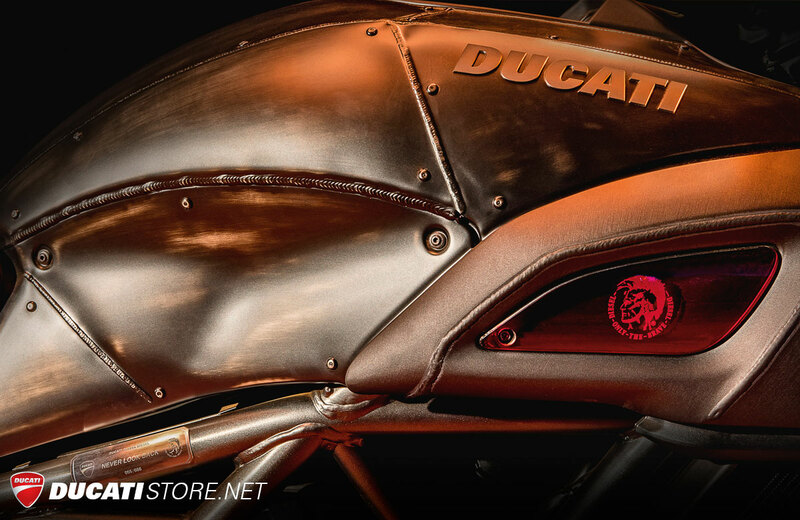 The collaboration with Diesel enabled us to explore original stylistic and technical aspects whilst staying within the Ducati brand and fully respecting its values,” said Ducati Motor Holding CEO Claudio Domenicali. “In this case we worked with Diesel on an already uniquely original bike like the Diavel and the result was surprising to put it mildly. The details characterizing the Diavel Diesel cannot fail to captivate connoisseurs of special bikes but also people from different walks of life, such as fashion. 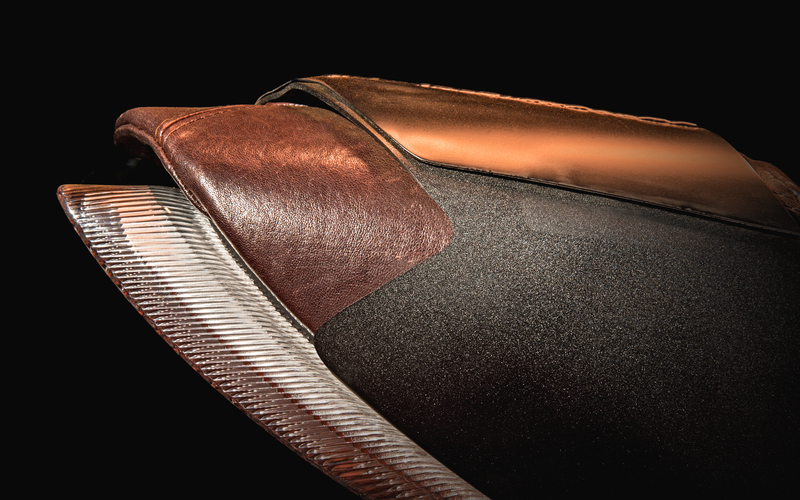 It’s always stimulating for us to move outside the world of motorcycling and widen our brand’s areas of interest. It’s an important bike that reflects the rock side of Diesel’s DNA, explained Andrea Rosso. The wording ‘Never look back’ engraved with the two logos captures the essence of this collaboration: a timeless bike that catches the eye with so many unmistakable details, such as the brushed stainless steel with visible welding and rivets. 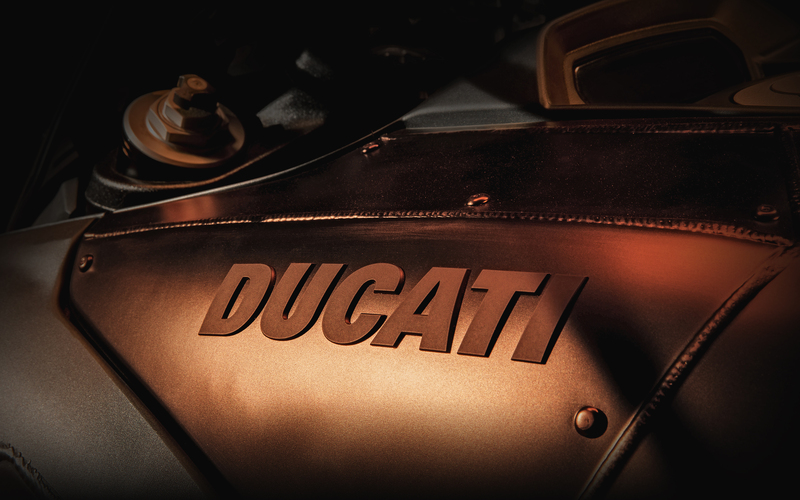 Ducati, Diavel and Diesel, three words, six letters each, forming 666, the limited number of examples of this new collaboration. 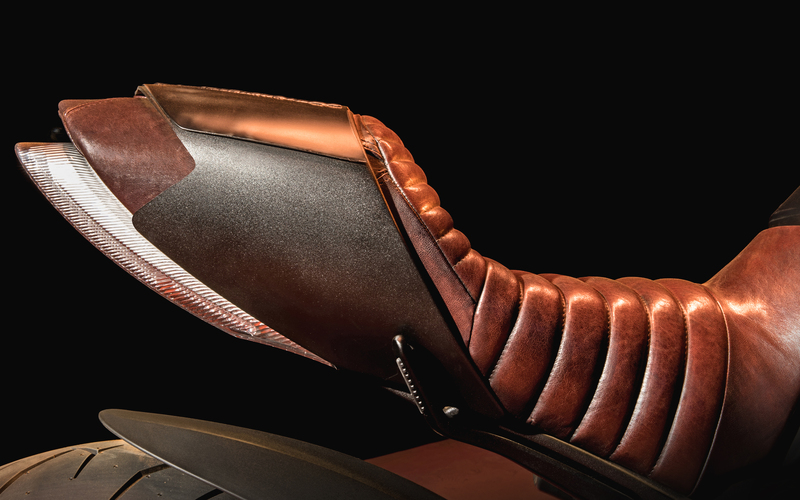 Other distinguishing features of this very special Diavel include the lateral air intake covers, made of red methacrylate with the Diesel logo on the inside. 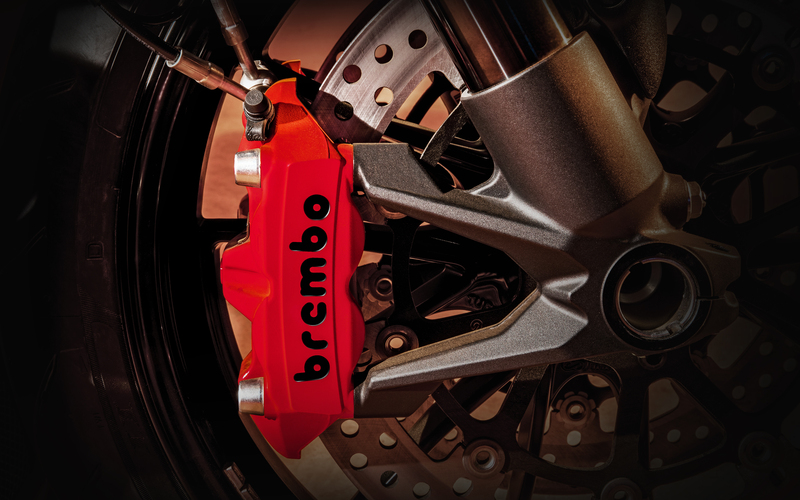 Red is also the colour of the Brembo front brake callipers, of five chain links and the LCD dashboard, which recalls vintage digital displays. 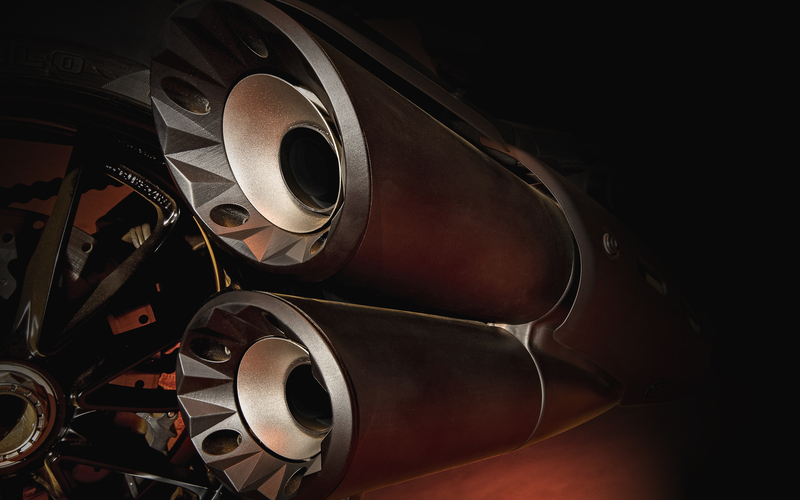 The Ducati Diavel Diesel’s exhaust system is another little work of art, thanks to pipes graced by black Zircotec ceramic coating and black silencers with ends machined from solid, on which the new pyramid motif appears. The Ducati Diavel Diesel is a bike that masters the road whilst being lightweight and agile, like all Ducati motorcycles. Its 162 HP Testastretta 11° DS engine combined with the Ducati Safety Pack (ABS and Ducati Traction Control) and Riding Mode offer a riding experience that’s thrilling and at the same time safe and intuitive. The 240 mm wide rear tyre is full of personality and, thanks to the effective chassis set-up, also delivers high-precision handling but also comfort for day-to-day use.